I was an at-home-mom looking for answers for my children. Mark struggled with reading and spelling, reversal of letters, and following three instructions. Cari was my motor person, always singing, dancing, chattering, wiggling. She was never quiet and never still, even in her sleep. She slept like a windmill. When Mark was 17 and Cari 11, I found a program in California called Perceptual-Motor Development. Mark came out of the assessment saying, “Finally some one has told me why school work is so hard for me.” Mark’s senior year in high school was the first time he didn’t get any D’s on his report card. Cari started to sit still and was taken out of remedial classes. Seeing my children improve made me want to learn this program so I could help other families whose children struggle in school. I attended Mrs. Davies’ Perceptual Motor training for four consecutive years from 1993 to 1996. Trained in the evaluation and remediation of perceptual-motor problems, I work in association with Dr. Dale Hansen, Ph.D., D.M., a Marriage and Family Therapist. During my thirty years of experience working with children, I have been a preschool teacher, PE teacher at Valley Classical Christian School, and have assessed hundreds of children in my private practice. My credentials include: Early Childhood Teaching Degree and Credential; Child Development Associate’s Credential; Certified Personal Trainer; Developmental Disabilities Specialist; and Perceptual-Motor Trainer. Currently I assess individuals at my Achievement Center for Learning in Phoenix, Arizona. 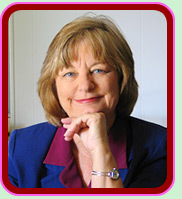 I provide perceptual-motor training to teachers and parents through seminars, in-services, workshops, and classes. I am ACSI certified to give CEU credits for my classes. Read what others have said about how this perceptual-motor program has changed their lives on the "Testimonials" Page. Read about the workshops offered on the "Classes" Page.